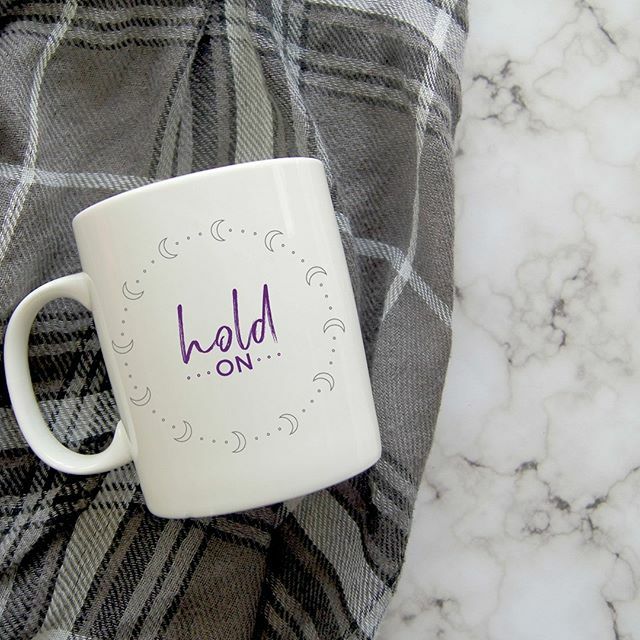 HOLD ON. If you’re hurting and don’t think you can take anymore, please hold on. You will get through this pain, even if it doesn’t seem like it right now.⁣. Mugs come in 11-ounce and 15-ounce sizes. 5% of net proceeds goes to Mental Health America.